Sage Tri-color is an ornamental form of common sage that has variegated, dusty green leaves with crisp, ivory margins blushed with rosy pink. 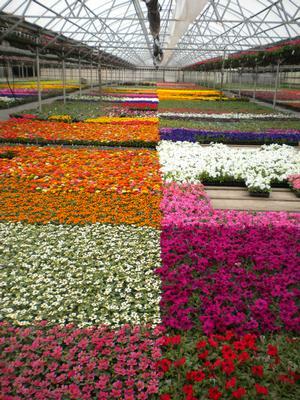 The semi-evergreen foliage will add color and interest to flower borders and containers as well as herbal borders. The leaves of the Sage Tri-color are just as flavorful and good to eat as standard sage. 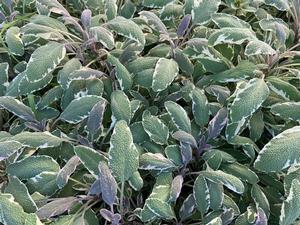 Sage Tri-color requires full sun and very well-drained soil. Excessive moisture at the root zone can lead to root rot. Avoid mulching it too. Once established, sage is very drought tolerant and will thrive where growing conditions are drier, though it will also flourish in areas with regular rain if provided sharply drained soil and high light. Harvest sage leaves year round for culinary purposes. They may be eaten fresh or stems can be hung upside down to dry and stored for later use.